Origami Fun: Easy Christmas Origami Projects! Hey, it's Robyn from Origami Fun! Well, it's just about Christmas time! I've been putting together an awesome Christmas Origami page with loads of reaaaallly easy (and free!) 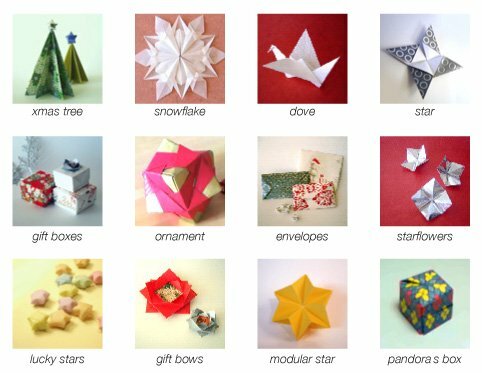 origami projects for Christmas, including some beautiful Christmas tree ornaments, gift boxes, origami gifts and even a mini origami Christmas tree! And for the more eperienced folder, there are even a couple of quite complex models in video form - an exquisite snowflake, an intricate modular ornament, and even Pandora's Box! So get your family and friends together and start folding some fantastic origami this Christmas! PS. Stay tuned because in a couple of days I'll be announcing some exciting news! Just in time for Christmas!